Websorceress offers a professional yet affordable website design service tailor made to suit your business. All sites built are 'fully responsive' meaning they automatically adapt to different browser sizes for optimal viewing experience i.e. easy reading and navigation with a minimum of resizing, panning, and scrolling. 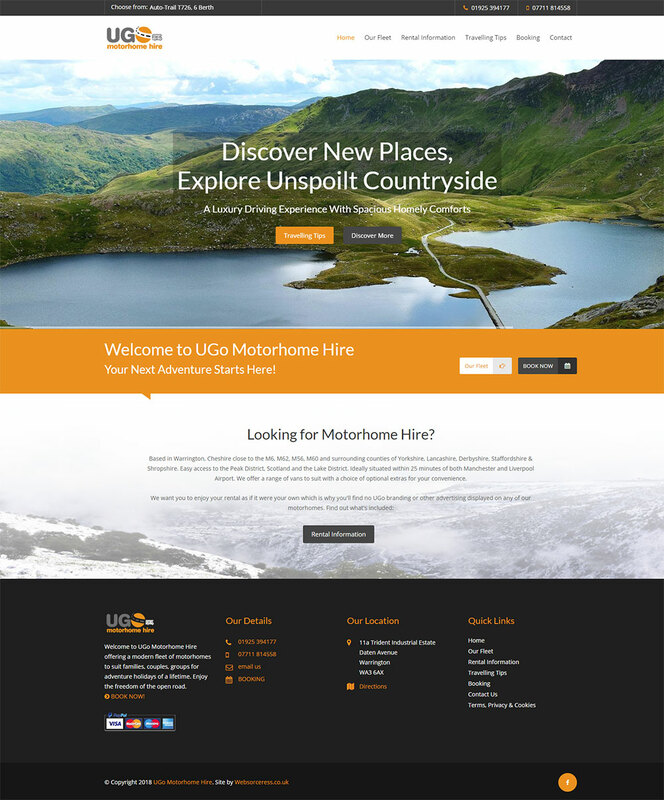 Your site will look great on any device - from desktop computer monitors, laptops, tablets and mobile phones. A 'mobile friendly' website is vital these days as more search engines focus and target on this technology. Installation of an SSL Certificate which activates the green padlock (https protocol) and allows secure connections from a web server to a browser is installed as standard. This encrypts your website and reassures your visitors that your website is safe to browse and shop on. We have tailored 6 standard packages at one fixed cost, offering the most popular all round features to suit almost every requirement, however they can be both added to or adjusted to suit your individual needs. This package is ideal for those who require a professional image and internet presence at entry level. 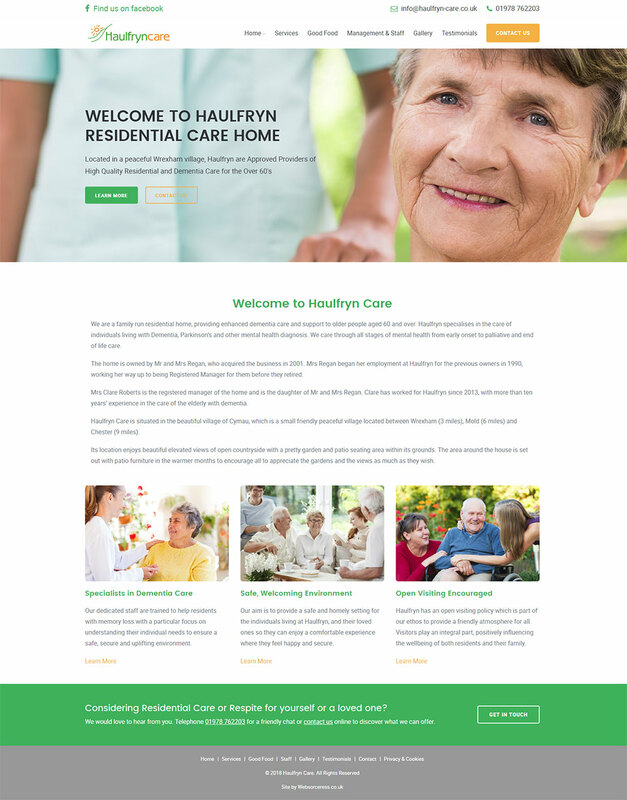 Includes 3 pages to display more detailed information as you require - such as a list of services/prices, portfolio plus a dedicated contact page. 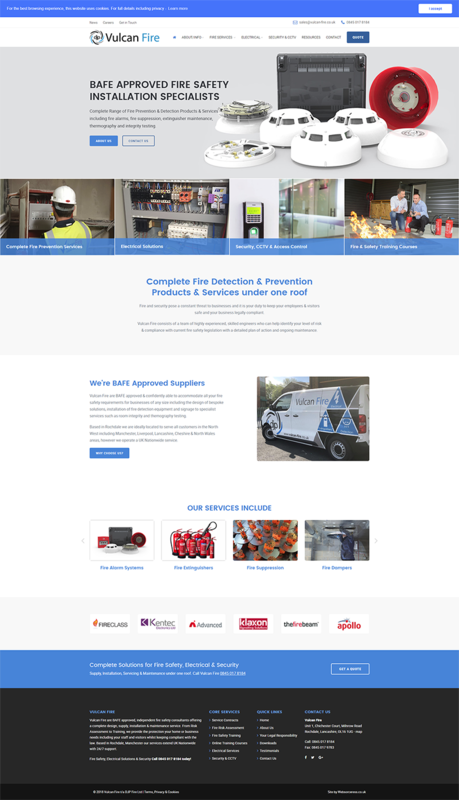 Web Site package with 5 pages to display more detailed information such as a services/price list and image gallery, ideal to showcase your products. Our most popular package is ideal for businesses, particularly with dedicated premises such as a shop/office/unit/warehouse. The embedded Google map shows your location and offers directions so your customers can easily find you. Customised contact form included plus 10 unique domain email boxes mean your staff & departments can operate independently under your corporate brand. For those who require an online shopping cart website. We are partnered with EKM who offer a fully online based, self-managed ecommerce facility with mobile ready version to sell services, digital or hard products. The platform includes many features included such as numerous payment gateway options, auto stock control, advanced inventory manager, powerful order processing, print packing slips, offer multi currency/shipping, loyalty points, product reviews, ebay integration, abandoned cart saver and much more. The one off fee of £449 (no VAT) is to commission us to set everything up on your behalf in readiness for you to take the reins once live. An ongoing fee is payable starting from £32.49+VAT (no contracts, 28 days FREE!) to EKM for the provision of your ecart (terms apply, contact us). As the service is fully online based, there are no installations, no fiddly updates, no pci compliance worries, no hassle or stress! The platform is easy to use and UK based telephone/email/knowledgebase support is also included. An ongoing fee is payable starting from £32.49+VAT (no contracts, 28 days FREE!) to EKM Systems for the provision of your ecart (terms apply, contact us). As the service is fully online based, there are no installations, no fiddly updates, no pci compliance worries, no hassle or stress! We will supply 1 month's website management or a 1 to 1 tuition session to take you through the entire system step by step. Based in Connah's Quay Deeside, Flintshire we are able to offer face to face meetings for our web design services within the Deeside, Flintshire, Denbighshire, Cheshire, Wirral and Wrexham areas - please contact us for an appointment. * Subject to availability. If you have an existing domain name, we can adjust the settings to enable it to work with your new hosting account. Premium domain names (.com, .net) available for a small extra charge. ** If you choose our advanced powershop facility this will attract an ongoing monthly fee of £29.99+VAT (Startup - up to £50k in online sales per year), £59.99+VAT (Growing - up to £150k in online sales per year) and £179.99+VAT (Established - up to £1M in online sales per year). All website packages are subject to our terms and conditions.